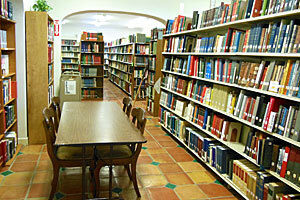 There are three options for obtaining books. You can stop by the society during business hours, download an order form for mailing to SAGHS, or order online with a credit card through PayPal. (You do not have to have a PayPal account). Please note: SAGHS prints most books on demand, so please be patient while we print your custom order! Bexar County, Texas, District Court Minutes 1838–1848: Soft cover, 180 pages. Abstracts of court minutes from the first Bexar County District Court term held 15 Oct. 1838–24 Oct. 1838, through the term held 7 Aug. 1848–19 Aug. 1848. ★ View sample pages. Bexar County, Texas, Marriage Books: All marriage books have soft covers and (if included) list witnesses, officiants, parental consents, license numbers, date, volume and page number, and include bride and groom surname indexes. Bexar County, Texas, Naturalization Index: 192 pages, soft cover. Names, ages, country of origin, record locations of people who made Declarations of Intention and/or were naturalized through 1906. View sample pages. Bexar County, Texas, 1890 Tax Rolls: 173 pages, soft cover. Alphabetical list of taxpayers and their taxable property listed in alphabetical order. View sample pages. Bexar County, Texas, Voter Registration 1865 & 1867–1869: 95 pages, soft cover. Length of residence, place of birth and, if applicable, naturalization information. View sample pages. Bexar County, Texas, Wills and Inventories, 1742–1899: 147 pages, soft cover. Abstracts listed in alphabetical order by legator. Other names in the wills indexed. View sample pages. Cemeteries of Bexar County, Texas: All cemetery books have maps and/or GPS coordinates, full and maiden name indexes; family, church and community cemeteries; soft covers. Volume 6, 10 cemeteries, 163 pages. ★ View sample pages. Volume 7, 5 cemeteries, 158 pages. View sample pages. Volume 8, 2 cemeteries, 147 pages. View sample pages. Bartlett Eaves (ca.1765–ca.1833): His Ancestors and Descendants. San Antonio: J. E. Joyce, p.p., 2005. 546 pages total, soft cover, appendix, bibliography and index. Awarded the grand prize for 2005 from the Texas State Genealogical Society. ★ View sample pages. The Rev. Moore Bingham (1797–1853) and His Wives, Ann Barber and Lucy Barber: Their Ancestors and Descendants. Bountiful, Utah, Family History Publishers, 2011. San Antonio: J. E. Joyce, p.p., 2011. 479 pages total, soft cover, sources, and index 63 pages. Awarded the grand prize for 2013 from Connecticut Society of Genealogists. View sample pages. Shipping and handling: $4 for first book; $2 for each additional book in an order. $6 for the first cookbook, plus $2 for each additional book in an order; $7 ea. for first Myers or Joyce book, $2 for each additional. Contact us for more information.